So this is the last Paolo Bacigalupi book I will be reading/listening to for a long while. I liked Windup Girl but everything else has not excited me, and this book is no exception. If you have read Windup Girl you have already read one of the best stories in this book, go read Windup Girl instead of this one. Paolo Bacigalupi’s debut collection demonstrates the power and reach of the science-fiction short story. Social criticism, political parable, and environmental advocacy lie at the center of Paolo’s work. Each of the stories herein is at once a warning and a celebration of the tragic comedy of the human experience. 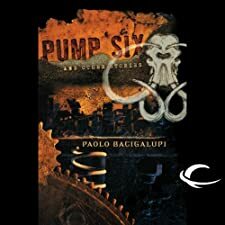 The 11 stories in Pump Six represent the best of Paolo’s work, including the Hugo nominee "Yellow Card Man", the Nebula-and Hugo-nominated story "The People of Sand and Slag", and the Sturgeon Award-winning story "The Calorie Man". The title story is original to this collection. With this book, Paolo Bacigalupi takes his place alongside SF short-fiction masters Ted Chiang, Kelly Link and others, as an important young writer that directly and unabashedly tackles today’s most important issues. ©2010 Paolo Bacigalupi (P)2010 Audible, Inc. I rate this book a 5 out of 10 and only recommend it to Bacigalupi fans. 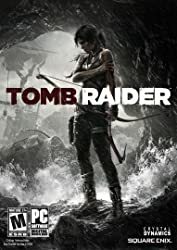 I bought this audiobook on a sale at Audible and listened to it using the Audible app on my iPhone. Dutch is an angry story about an angry young black man from an angry place. Not being an angry young black man myself this book misses the mark for me. It does not speak to me and was not meant to. This is not a mainstream story targeted at a widespread audience, but is targeted squarely at an urban teen African American audience, whether that was the author’s intention or not. As a movie it would probably have wider appeal. It is well written and if you like stories about angry young black men getting over on the system at the cost of other people’s lives, usually the lives of other young black men, then you will enjoy this story. The performance by Ezra Knight is very good, I hope to hear more from him. Teri Woods has built a considerable literary legacy thanks to her compelling urban novels. The first volume of a trilogy, Dutch follows the criminal career of street hood James Bernard Jr., a.k.a. Dutch. Even while stealing cars, Dutch knew he was destined for more, and it wasn’t long before he saw his chance to seize power in New Jersey. Now a Jersey kingpin, Dutch is coming under fire from an upstart DA—but it won’t be easy to take down this streetwise criminal. 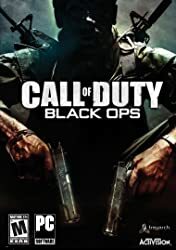 My rating is a 5 out of 10 and think African American teens would rate it much higher.